That’s just what San Francisco’s The FruitGuys does. The 12-year-old company delivers boxes of fresh fruit and vegetables — grown by small family farms — to offices and homes nationwide. 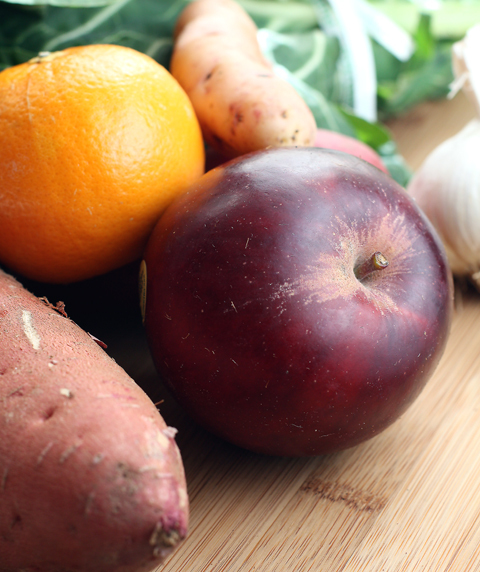 Think of it as a convenient way to bring a taste of the farmers market right to your door. Three years ago as a way to give back, the 12-year-old company also launched its Farm Stewart Program to support sustainable family farming. The company donates 88,000 pounds of fresh fruit annually to non-profit groups and regional food pantries. Its gift boxes, which start at $39, make thoughtful presents for anyone who appreciates gourmet eats. The boxes can include items such as handpicked apples, pears, citrus, honey-roasted cashews, cinnamon pecans, regional honey and the Philo Apple Farm’s apple cider vinegar. Just before New Year’s, I had a chance to try a sample of The FruitGuys’ new TakeHome box, which starts at $24 and is filled with farm-fresh, regional organic produce. Choose from all fruit, all veggie or a mix of both. The large gray box, made from recycled cardboard, landed on my front porch. Inside was a bag of organic dried black eyed peas from Watsonville, the traditional legume to usher in the New Year. 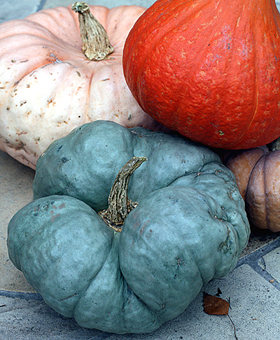 There also were Satsuma oranges from Oroville, collard greens from Oxnard, D’Anjou pears from Washington, kiwi from California, an Arkansas Black apple from Cuyama Valley, a Fuji apple from Washington, beets from Madera, garnet sweet potatoes from Livingston, parnsips from Willow Creek and a tri-color Carnival winter squash from Santa Cruz. The crisp apples and juicy oranges I ate out of hand. The kiwi garnished weekend waffles. The beet greens were sauteed for a side dish one night, while the sweet potatoes and squash were roasted for another evening’s meal. While I often send my friends across the country signature chocolates and bakery goods for birthdays and Christmas gifts, this nifty TakeHome box offers a totally different alternative that’s especially nice for those who love to cook. Sounds like a nice gift idea! Sounds like a great service and I bet they make perfect gifts! Yet another reason why I’m convinced I’m living on the wrong coast… So jealous! This service sounds like a god-send for busy cooks and produce junkies. 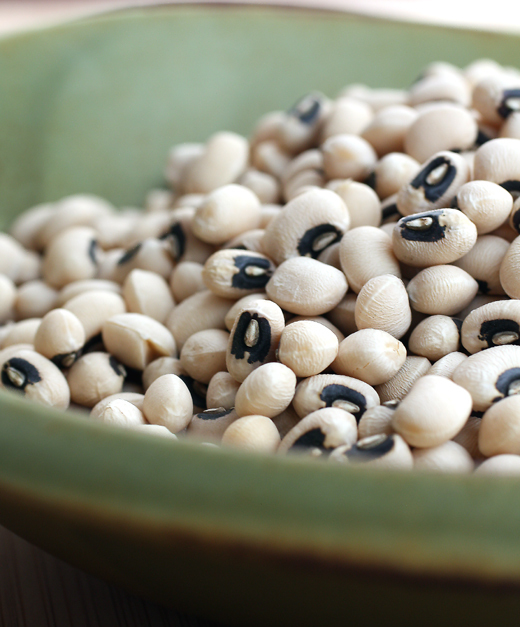 How lucky you are to have received those black-eyed peas on your doorstep!Everybody needs a bit of luck for unknown beginnings! Have a blessed and lucky new year! Happy New Year, Carolyn! Wishing you a delicious year. My boss used to have them deliver fruit to our workplace. Definitely a much healthier alternative than eating danish! 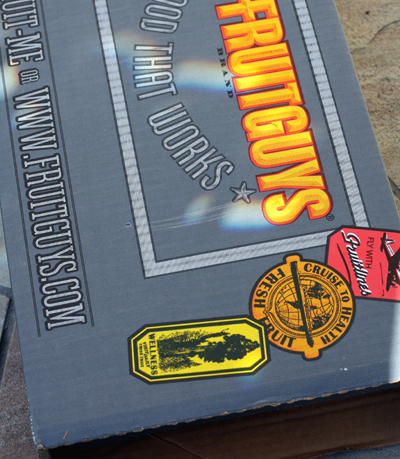 The FruitGuys products are available nationwide. 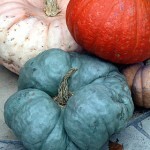 Check out our website at http://www.fruitguys.com to our weekly mixes in your region. If you have any questions, feel free to contact me at candace@fruitguys.com. Enjoy and be fruitful! I sent out a bunch of these as Christmas gifts, and I’ve also sent out boxes as a thank-you when someone hosts us at their house. Feedback has been overwhelmingly positive. My dad, who lives in rural Kentucky and can’t even get decent lettuce right now, absolutely loved it. what a great idea!! thanks for the link! !